I love ice-cream. My mom had this recipe for home made ice cream that she used to make us when we were kids... It was the BEST ice-cream ever. However after moving, war, moving, it got lost in the process. For last few years we tried different recipes and nothing came even close. Few months back, I found a recipe for a home made cream (sans ice-cream machine) and with few tweaks I found my new favourite ice cream... its not my moms recipe but I will settle for now. 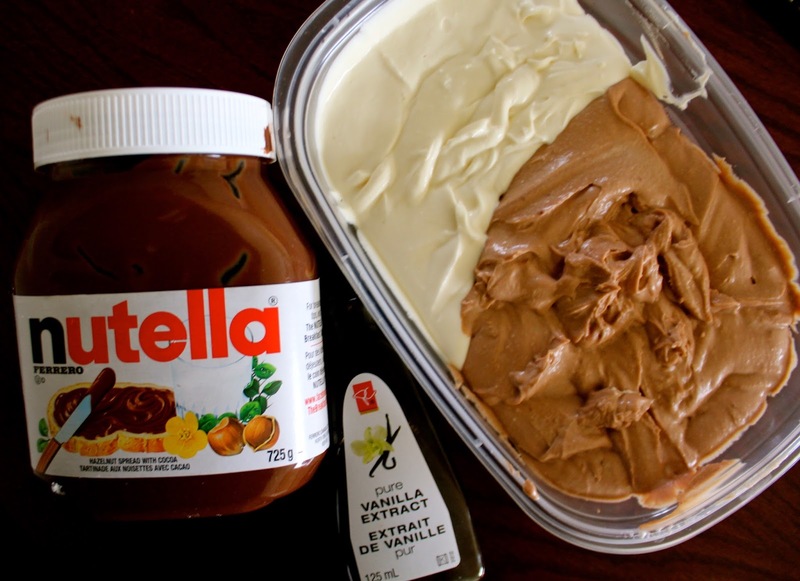 Mix the other half with Nutella, mix with a spatula until evenly mixed. it will be ready in 30 minutes. What is your favourite ice-cream?